This tutorial helps you repair Windows 10 computers and devices. To make a recovery drive in Window 8 or 8.1 see here, and for Windows 7 see here. You can make a recovery drive on the same computer where you want to use it, or on another. You have to use Windows 10, and the same type of CPU architecture on the system where you are creating the recovery drive, and which one you use the drive for: 32-bit or 64-bit. If you need help determining what type of system you have, read: What version, edition and type of Windows 10 have I installed? We encourage you to do this as a precaution before you find a problem that requires recovery to fix it. The first thing you need to do is plug in the USB memory stick or external hard drive that you want to change into a recovery drive. After Windows 10 detects correctly, go to the search box near the Start button, and type "recovery." In the results list, click or tap "Create recovery drive." Another way to start Recovery Media Creator is from the Settings application. The fastest way to open Settings is to press the WIN + I button on your keyboard, but there are also other ways to open Settings. In the Settings window, type recovery in the search box at the top and click or tap "Create recovery drive." You can also start the Recovery Media Creator from the Control Panel. Open the Control Panel in the icon view and click or tap Recovery. You will see three recovery tools, from which you must select "Create recovery drive." The UAC (User Account Control) prompt appears, asking if you allow Recovery Media Creator to make changes to your computer. Click or tap Yes to start the Recovery Media Creator. Recovery Media Creator tells you that "Even though your PC cannot start, you can use the recovery drive to reset it or solve the problem. 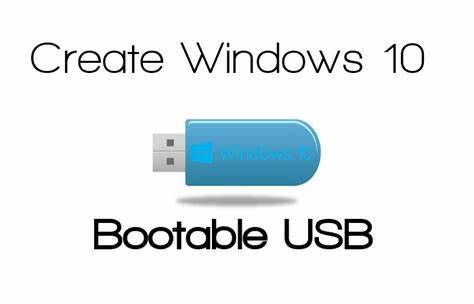 If you back up system files to this drive, you can also use it to reinstall Windows." You see a check box that says "Back up system files to recovery drive." If you activate the check box, the recovery drive gives you an option later, during recovery, to install Windows 10 if the system file is damaged. If you uncheck system files, the recovery system requires less space, and you can use a smaller flash drive. For Windows 10 32-bit you must have a recovery drive with at least 4GB of space and, for 64-bit, you need a minimum of 8GB. Select the option you want and click or tap Next. You are asked to choose a USB flash drive (or external hard disk) that has a minimum storage space that varies depending on what you have chosen before. In our case, he requested a minimum of 8 GB of space. Make sure you don't have the data left in the drive because it will be deleted in the process. Select the drive where you want the recovery tool to be saved, and click or tap Next. You receive a warning message that everything on the drive will be deleted. This is your last chance to store data in it. When you are ready to start the process, click or tap Create. Now the drive is formatted, and the system recovery tool is copied on it. This process can take up to 10-15 minutes if you also copy Windows 10 system files. This also depends on the speed of your recovery drive. We recommend that you use a USB 3 flash drive or a fast external hard disk. It makes the process faster. When a recovery drive is created, you are notified of it. Click or tap Done, and that's it. You now have a recovery drive that can get you out of trouble if Windows 10 decides not to listen to you anymore. Recovery Media Creator is a useful tool for creating recovery media. The only regrettable part is that it is hidden in Windows 10 and not many users know it. Share your experience by creating a recovery drive on Windows 10, by commenting below.